Let’s talk bipolar disorder and mental health awareness! 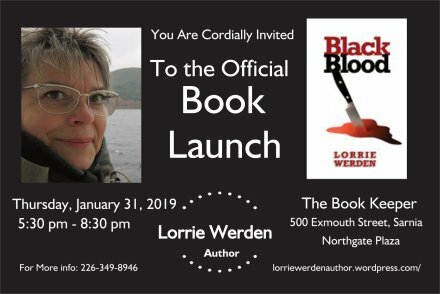 Please join us for a book-signing with local author, Lorrie Werden, author of Black Blood. In Black Blood, Elizabeth Devereux is a prolific painting protégée whose true inspiration comes when she is drug-free. The trouble is, going off her medication for bipolar disorder can also bring on the black cells. It’s only when she finally leaves the halfway house will she be able to find a socially acceptable balance between mental stability and her need for freedom of creativity? 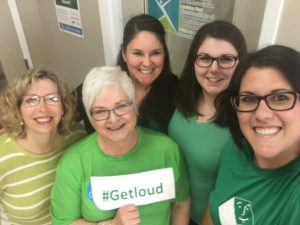 Lorrie Werden is a long-time Lambton County native, having been raised in Watford, and now residing in Sarnia. Ms. Werden has worked for the Ministries of Education, Finance, Health, and the Attorney General. Her work has always been with families in need and marginalized people. The book, Black Blood, is testament of her empathy and understanding of those living with mental health illnesses. Ms. Werden is working on the prequel, Black House. Please join us, this event is FREE!